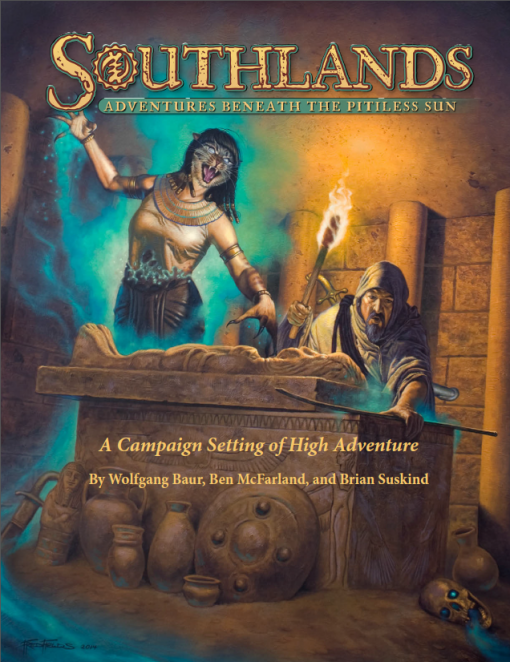 Southlands Campaign Setting offers everything you need to have legendary adventures in a sprawling continent of wealthy desert empires, demon-haunted jungles, and vast savannahs where gnolls and werelions hunt. 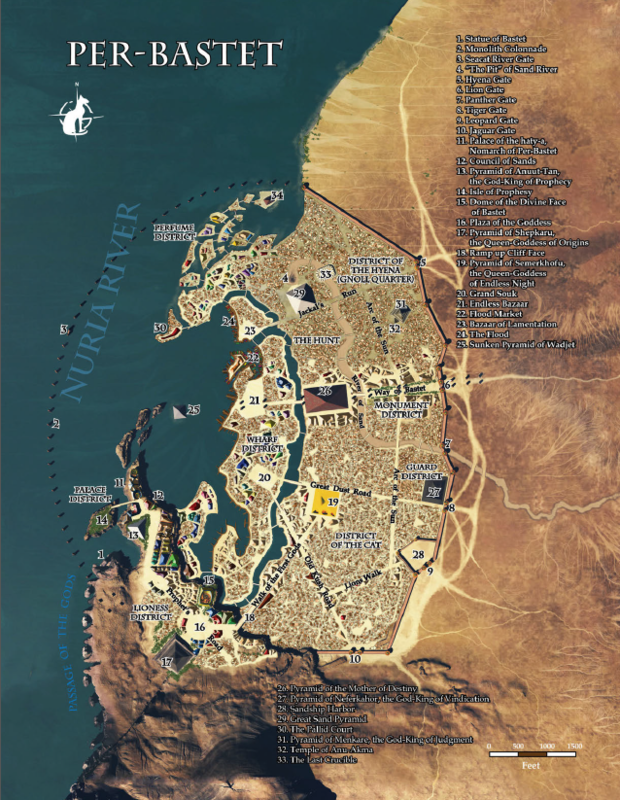 Here are enough kingdoms, treasures, monsters and adventure hooks to provide years of gaming in the deserts, jungles and tropical mountains. 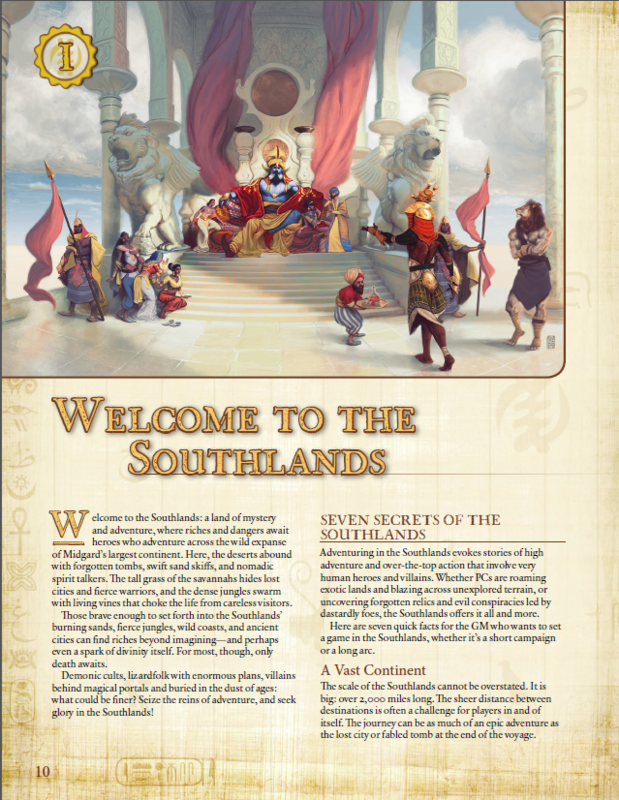 Use Southlands with the Midgard Campaign Setting, or bring its cities, lore, creatures, and characters to any campaign. 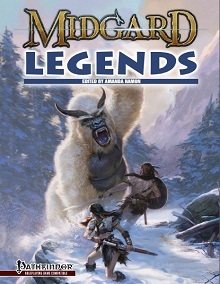 I am amazed there are no reviews here for this work of genius, especially one that is now a “silver” Ennie winner. 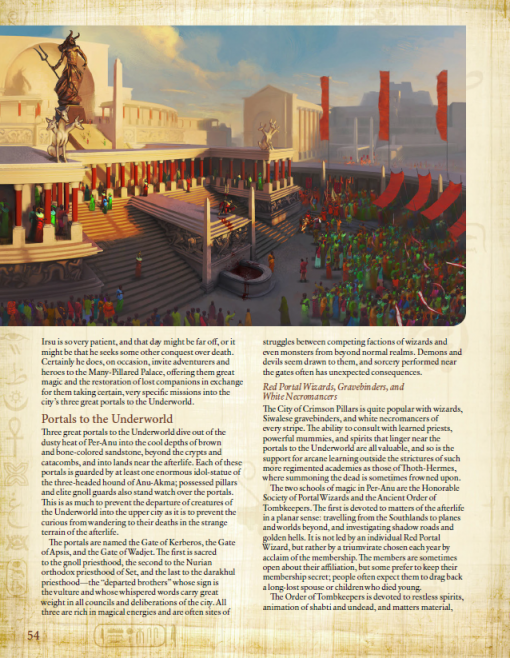 Anyway: game designers have attempted non-Western settings almost since they’ve attempted Western settings, and with the Near East and the Far East they’ve generally done okay. The settings which have stubbornly resisted such attempts include India, Mesoamerica, and Africa. Why that is, I do not know. This, in my Algerian opinion, is the first setting to get Africa right. The Sense Of Wonder aspect is off the charts. This is a continent with a whole living cancerous jungle in it. A raxasha ruling the paradise of the damned. A southern coast which is just too strange for words. And don’t worry about “but I can’t roleplay an African” or “won’t I just be a foreigner in every place here”. That won’t be a problem. The Southlands make an immense place with Berbers – excuse me, Tamasheq – in the north [ob.Berber nitpick: probably should be Amasheq, I think Tamasheq is female and/or the language], colonists in the south and traders all up and down the coast. Your party will find a niche here. So yes – this is great stuff. 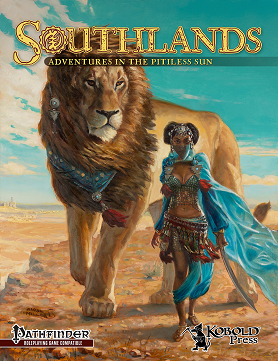 Especially if you like the Arabian Nights’ travel-stories or “King Solomon’s Mines” or, er, “Heart of Darkness”. This is one of the best southern continent setting for any of the campaigns that I have run. 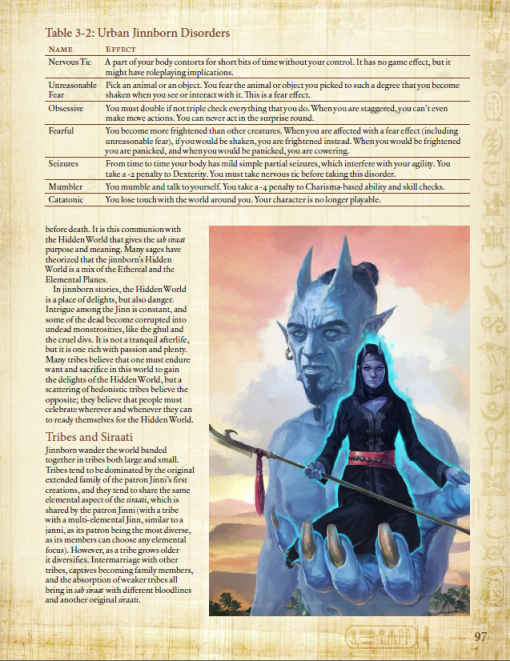 It has a rich history on on the continent came into being, the gods/goddesses of the continent and countries. 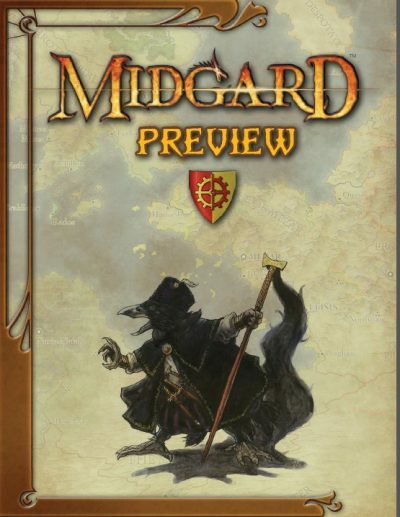 There are lots of new archetypes, prestige classes, feats and spells that fit the Midgard Campaign. 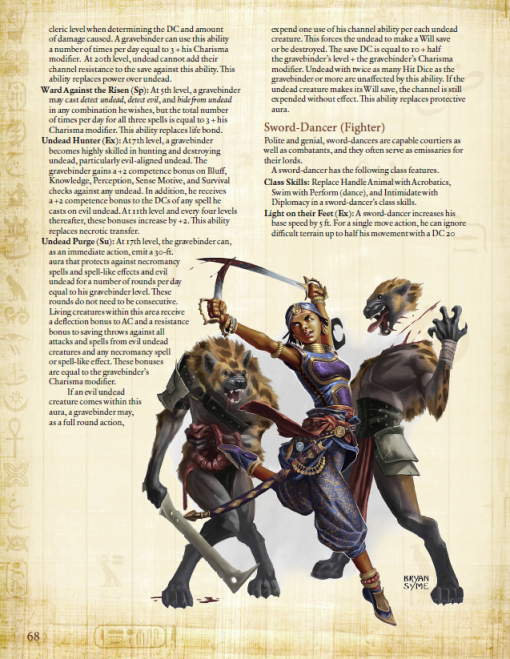 I also love the core character races. 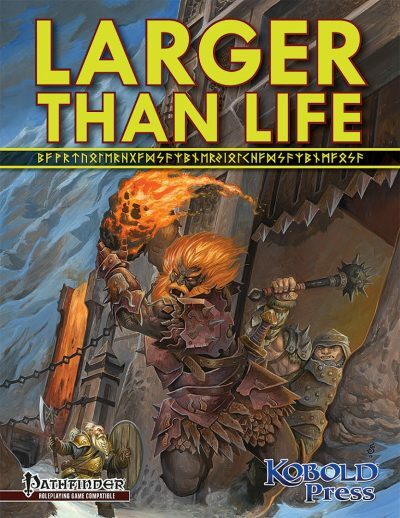 The Kobold Press team hit a homerun on this one.